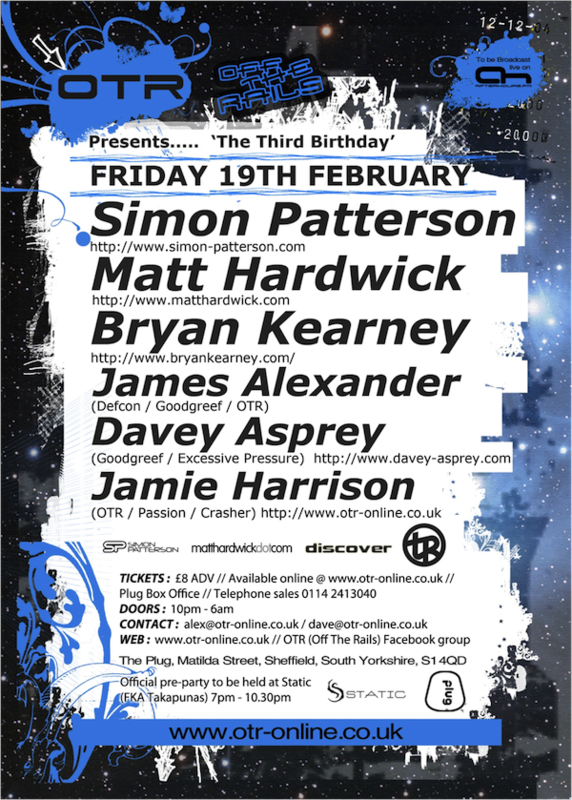 'The Third Birthday' @ The Plug, Sheffield // 19th February 2010! Last edited by trancefan0883; Feb 22nd, 2012 at 18:46. Woohoo, simply awesome lineup. Will be another huge event! Dan rocks! Last edited by trancefan0883; Feb 18th, 2010 at 12:27. This will be a truely epic event! Since making it's come back to Sheffield in October, each OTR event has been explosive...and with Hardwick, Patterson and Kearney leading the way...I think the line up speaks for itself! Have a good one mate, I can't make it this time round, but I guess hearing it here will be the next best thing!